Welcome to the third installment of our “Inbound Out Marketing Versus…” series. Both have their merits, but Inbound Out Marketing makes for a formidable opponent. I’m a big fan of social media marketing. The prospect pool is too great to ignore, and the paid advertising power of these networks (namely Facebook) is unparalleled. However, there are some shortfalls to social media marketing that make Inbound Out marketing a smart addition to your strategy. A more targeted approach. You promote your business directly to your target audience, rather than just on a network. You develop one-on-one relationships faster and more efficiently. The relationship begins as soon as someone from your company reaches out. Better reach. You can reach prospects who are not on social media or aren’t willing to engage your business there. Faster results. Results happen faster from initial contact to sale. This is an effective method for driving traffic, but it’s a blanket approach. You send your posts to the social network and attract whoever decides to click and engage (and whoever happens to be online at the time). Only a certain percentage of the people who you want to see your post actually do see it. Targeted Outreach is a key part of Inbound Out marketing. You promote your business directly to your target audience. It's prospecting through the web. Social media helps prospects and fans build connections with businesses that would never have been possible in the past. Brands can come off as cool, hip, fun, smart, ambitious -- whatever brand managers decide. The level of transparency is higher on social media, allowing for stronger relationships to develop. Those relationships end up as leads, customers, shares, and word-of-mouth—all valuable assets for any business. This is one of the greatest benefits of social media marketing, but it also happens to be one of the greatest benefits of Inbound Out marketing. Targeted outreach to your prospects is a key component of Inbound Out marketing. This outreach builds a one-on-one connection with your audience. You establish micro-rapport with each interaction, build a connection with your business, and prospects start trusting you more and more. Social media marketing can achieve the same results, but due to its blanket approach, this result isn’t as targeted and it happens more slowly. With targeted outreach that's part of Inbound Out marketing, that relationship builds immediately. Social media allows you to reach a large amount of people at any moment in time. This is one of the reasons it has become so popular for building and growing businesses. 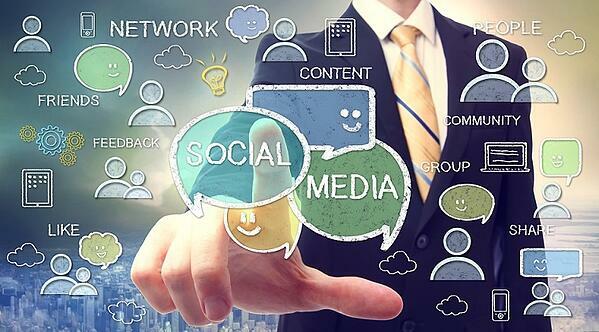 What if your prospects aren’t that active on social media? Social media marketing becomes less effective. Inbound Out marketing gives your business the ability to reach prospects no matter where they hang out online. And personalized contact through social media or email is much more likely to get a response. What are the results you look for when promoting your business online? With social media marketing, the time from initial contact to sale can take a while. Their emotional investment in your business starts off low and gradually builds over time. Eventually, that emotional investment turns into a commitment (lead generation) and a conversion (sale). With targeted outreach and Inbound Out marketing, their emotional investment starts off much higher. They’re interacting with a real human being. They’re getting a hands on look at your business right off the bat. Any questions they have can be answered immediately. Any objections can be handled as soon as possible. Your prospects go from emotional investment to commitment to conversion much faster with Inbound Out marketing. This gives you a leg up against your competitors who rely heavily on social media for their success. 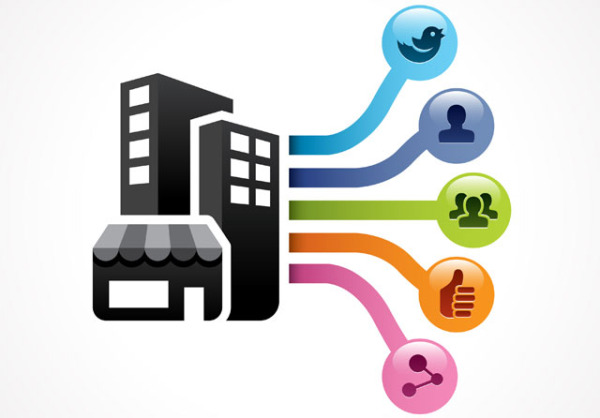 Social media marketing is an effective strategy. Prospects are waiting to engage your business—if you know how to do it the right way. However, social media marketing lacks a few characteristics that Inbound Out marketing can make up for. With the combination of Inbound Out marketing and social media marketing in your overall mix of tactics, your business becomes a strong force to be reckoned with. Traditional marketing no longer works well because buyers have changed. You must learn to adapt. Download the CEO's 2016 Guide to Marketing now to learn and execute your own 2016 marketing strategy today. Reaching your target audience on social networks takes time, effort, and quality content. You can cheat the time and effort involved by investing in social media advertising using targeted ad campaigns. Boosting, Promoting, & Sponsoring are the best way to ensure that your posts reach the audience you choose. Your post will appear in the news feeds of your prospects, giving you a better chance that it will be seen. 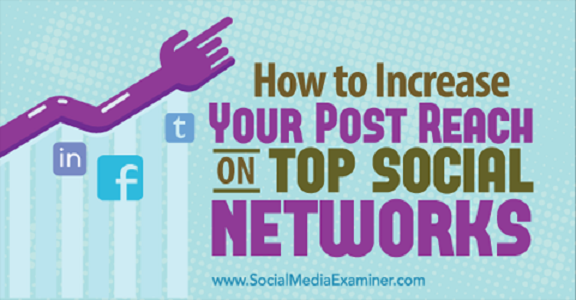 Kristi Hines at the Social Media Examiner has written a great article "How To Increase Your Post Reach on Top Social Networks" that explores the top social networks that offer promoted post options and how they help you reach your prospects on each social site. If you are curious to know what your leads are costing you, check out our Lead Cost Estimator. Doing business online has changed drastically in the last several years. With the growth of social media, search engines, and the information available online, buyers have become much smarter about why and how they spend their money. They don’t want to be sold to anymore. Many businesses have relied on commercials, print ads, tradeshows, and cold calls. Unfortunately these methods get less and less effective every year. How do you get qualified leads if prospects aren’t receptive to traditional marketing? The answer is Inbound Marketing -- a marketing methodology based on providing value to customers first before presenting your products and services. It’s the best way to attract qualified leads online, and you’re about to learn how to do it. To market effectively, you have to know the prospects you’re targeting. This means gaining intimate knowledge of your audience’s personality and professional ideals. Their goals. What are they aiming for? What are they trying to achieve? Their strongest pain points. What do they complain about the most? Which issues would they love to have disappear? Common objections to your products/services. What is stopping them from pulling out their wallets? Discovering this information involves diligent research. There are two types of research that you want to conduct: passive research and active research. To conduct passive research, you want to dive into online hubs where your target audience hangs out. This is where they discuss their wants, needs, desires, and challenges -- the exact information you’re looking for. Find forums related to your ideal customers. Head over to Quora and other Q&A sites. Hop on Twitter and search for conversations your prospects are having. Join Google+ communities and Facebook/LinkedIn groups. In each of those online hubs, read through the conversations that are going on. Then jot down these three pieces of information: their goals, challenges, and pain points. 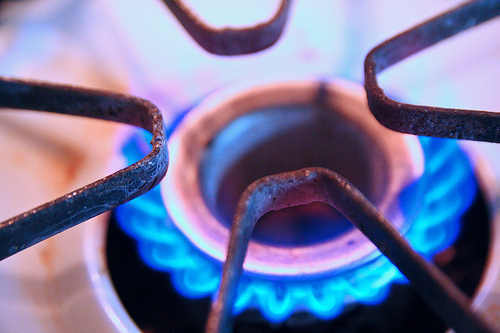 This information is marketing gold that will make your prospecting much more effective. Active research involves communicating with your target audience directly. You ask them insightful, open ended questions to find out all four pieces of information (especially common objections to your products and services). Send a survey to your email list. Respond to comments on your blog and ask people questions. Contact people directly on social media and ask them if they wouldn’t mind giving their opinion on your product, service, blog post, etc. Strategies like these will uncover your audience’s strongest pain points AND help prospects create a stronger bond with your brand. Using all of this knowledge, you can create buyer personas that will permeate all of your marketing materials and lead generation. For an example of a buyer persona and a complete guide to create your Precise Prospect Profile, download our kit. Too many marketers create content without thinking about their ideal prospects. They come up with articles ideas, write those articles, and publish them without considering which people they’re trying to attract. But you won’t make this mistake. Why? Because in Step 1, you just gathered all of the information you need. By creating content that solves the same problems your prospects are having, you will naturally attract these people to your business. All of your content ideas should be based around the goals, challenges, pain points, and common objections you found in the previous step. However, you also need to base your content around your own products and services. Here’s the catch: your content should solve the same types of problems your products and services solve. This is how you attract qualified prospects who are predisposed to want and need what you offer. If you help them fix the same types of issues your products/services do, these prospects begin to trust your authority in the space. They trust that if your free content can help them solve this problem, your paid products and services will solve an even bigger problem they’re having. Now you know how to create the right content, but how do you get it in front of your ideal customers? This involves cunning content distribution. It’s not enough to create content that’s targeted to your prospects. Not even close. They won’t visit your website unless you distribute it in channels where they hang out. I mean, how else would they find it? Distributing content the right way makes you visible on the internet. It makes it easy for your ideal customers to find you. 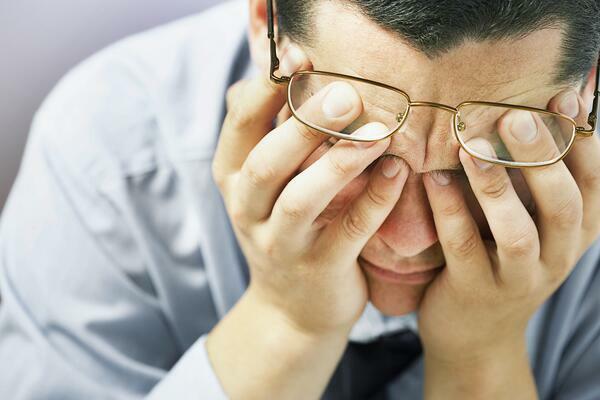 Your qualified leads are searching for solutions to their problems RIGHT NOW. These are solutions that your content, products, and services can solve. The #1 issue: they just can’t find you. At the very least, you should share your content on each social account you have. This is the bare minimum to make yourself visible on the internet. However, you should be doing much more than that. You should be reaching out to influential people in your space who have large followings and present your content to them. Odds are, if they like it, they will share it with their audience. You should be reaching out to those same prospects you found on social networks in Step 1 and present your content as a great place to get more information. You should head over to the Google+ communities and Facebook/LinkedIn groups and share your content with those people (because you’ve already qualified them to want and need it). Social media marketing methods like these tap into the true viral power of social media and the benefits it can bring to your business. Forums can be packed with your target audience. They exist to bring people with similar interests together to discuss those interests and help each other out. They want to find and share amazing content with the community. Your content can elevate the community. All you have to do is share it there. Create a thread that introduces your content. Then, link to your content at the end if they want to read more. Create a thread describing the main ideas of your content, and link to your content at the end if they want to learn more. Link to your content in the signature, then become active on the forum by answering questions and helping people. Your content acts as the lure, but you have to cast the rod for it to attract people to your website. Search engine optimization -- the process of creating assets that search engines like and want to rank on the first of their results. This process still eludes many people, but it’s some of the highest quality traffic you can get. Where else are people naturally turning to again and again to solve the problems they suffer from most? Base each piece of content you create around a keyword with a high search volume. Scour the internet for link building opportunities. “Links” pages and weekly roundups are two of the best backlink sources. Reach out to the site owner and present your content as a nice addition to the page. If your content is of high enough value (relative to the content already ranking for that keyword), and if you can build a solid amount of authoritative links, you give your content the best chance to rank on the first page. Once it ranks, you get to reap the benefits of long-term, qualified traffic for as long as your content remains there. Inbound-Out Marketing is a new marketing philosophy that involves active prospecting and outreach. It takes the best parts of sales and incorporates it into effective inbound marketing. To distribute your content this way, you actively reach out to prospects. You establish micro-rapport by communicating with them directly, and you get in contact by phone and through personal emails. Then, you present your content to them. This is where they can get more information if they need it, which will eventually expose them to your products and services. Steps 1-3 will help you drive qualified traffic to your website because this process is based on helping people with the same types of issues that your products and services do. However, these prospects might be qualified, but they’re not leads yet. That’s where Step 4 comes in. Your site must be optimized to capture the traffic that’s coming in. These people may have a need for your products and services, but they’re not convinced quite yet. They’re still wondering if you’re the one to choose. To convince them, you need to be able to establish long-term communication. You need their contact information. Lead magnets are downloadable freebies that you give away in exchange for contact information. They typically come in the form of ebooks, but they can be checklists, free trials, mindmaps, spreadsheets -- anything that a prospect would find valuable. These need to be sprinkled around your website to entice visitors to give up their contact information, join your sales funnel, and convert into leads. But how do you facilitate this exchange? You do it through sign-up forms. Sign-up forms are the gateways to your sales funnel. They facilitate the exchange between your lead magnet and a prospect’s contact information. You need at least one of these for each lead magnet you give away. A call-to-action lets a prospect know exactly what you want them to do and when you want them to do it. These calls-to-action come at the end of each sign-up form. They let the prospect know that once their information is filled out, they must click this button in order to finalize it. Landing pages are the final piece of the conversion puzzle. They combine lead magnets, sign-up forms, and calls-to-action in one highly-optimized location. These pages have one job: convert the traffic you’re generating into leads. Make sure your landing pages are easily accessible from every page of your website. Inbound Marketing is the best way to sell without selling. It leaves your prospect's lives uninterrupted by pushy sales pitches and ads. It allows them to slowly but surely build trust in your business. By following this process, you become an asset to your prospects lives, rather than a burden. Not only that, but you attract high quality, qualified leads at the same time, which grow your business as well. Do in-depth research on your ideal customer. Create content that solves 1) the same problems your prospects are having and 2) the same types of problems your products/services solve. Distribute your content in multiple channels and use various outreach methods. Optimize your website to capture leads with lead magnets, sign-up forms, calls-to-action, and landing pages. 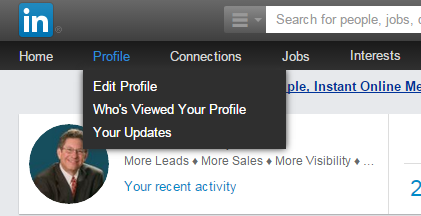 When you first sign up for LinkedIn, you are assigned a default URL that includes your name, dashes, slashes, and numbers that is really hard to remember. 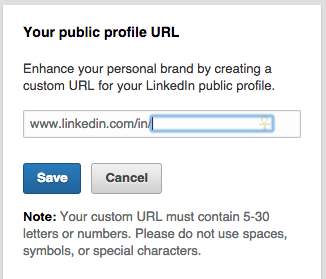 But LinkedIn allows you to customize your URL and create something unique and memorable. I recommend you choose something that uses your first and last name and is easy to remember. Your name must be different from every other LinkedIn member, so use your middle initial or middle name if your name has already been claimed by someone else. Your public profile URL is easy to change, and helps you look like an experienced LinkedIn user, so I don't want to hear any excuses! Under the Your public profile URL section at the top of the right sidebar, click + Create your custom URL. Type the last part of your new custom URL in the text box and click Save. You will no longer look like a LinkedIn newbie and the URL will look great whenever and wherever you post it. If you are interested in having us review your LinkedIn profile, click the button below, and we’ll provide you a Free LinkedIn Profile Review. LinkedIn is the social network where business professionals are spending their time. You can generate leads, build relationships, improve your reputation, gain insights, establish thought leadership, build online communities, and so much more. In today’s business world, relationships are more important than ever and professional networking has never been as critical and necessary as it is today. 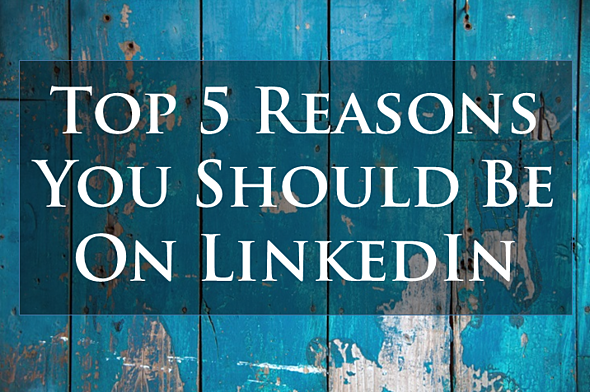 Here are a few reasons everyone should be on LinkedIn. Show others who you are. A LinkedIn profile shows people who you are, what you know, where you’ve been, what you’ve done, and what you are interested in. Showcase your abilities and let people know why they should hire you or do business with you. A great profile lets others see not only your professional side, but your personality as well. To be found, you should be where other professionals are searching for you. That perfect company or perfect client could be looking for someone like you right now on LinkedIn. People change jobs, switch careers, and start new businesses all the time. 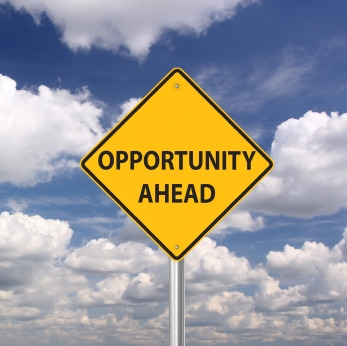 Being active on LinkedIn will allow opportunities to come directly to you. LinkedIn was built for networking. Connect to the people you know from school or through work. You can also discover key people that could help you get your foot in the door or could potentially be great clients. Share what you know and learn from others. Join groups with the same interests, where you can share information and discuss ideas. Learn more about your specific niche from renowned people within that industry. Answer questions and demonstrate know-how to build your reputation and help others see you as an expert. Connect with prospects on LinkedIn. Research ideal prospects and then nurture the relationship by sharing content. Offer a free e-book or whitepaper and, using a call to action, direct them to download the information giving you a warm lead. Continue to provide them with great information to move them down your sales funnel. LinkedIn is by far the most important social network for business professionals.It is the platform that is serious about business with people that are passionate about their professions. You need to be on LinkedIn to take full advantage of all it has to offer. So tell me...what’s stopping you from being on LinkedIn? p.s. Feel like your profile isn't as good as it could be? Click the button below to get a FREE LinkedIn Profile Review. If you’re not actively using LinkedIn to build relationships, educate your network and generate exposure and leads – you’re missing out on the action. In business, you always want to be where your prospects and clients are, and for the most part, they’re probably in social communities such as LinkedIn. Business Owners, Marketing Managers and other business professionals are embracing social communities to connect with people who are likely to be good prospects, as well as clients and colleagues. Sites such as LinkedIn, make it simple and easy to keep in touch with people, and check out their “updates” and activities. Far and away, the best social networking site for professional networking is LinkedIn. This social media forum is perfect for professionals to connect and stay connected with those they need to stay in touch with. LinkedIn offers their members the opportunity to have an online rolodex of contacts which can be accessed from your profile, and on the go with the LinkedIn mobile app. Promotion—Post new content to LinkedIn groups, your company page and your profile (minimum 30 minutes, maximum 2 hours). Answers—Look for new questions to answer in LinkedIn Answers (minimum 15 minutes, maximum 2 hours). Groups—Participate in LinkedIn groups and reply to posts where appropriate (minimum 15 minutes, maximum 2 hours). Other content marketing—Produce new content for LinkedIn such as articles, white papers and infographics (minimum 1 hour, maximum 8 hours). Networking—Search for journalists, media and industry peers, accept connection requests and initiate connections with others (minimum 1 hour, maximum 3 hours). As with all social media activity, remember that it takes multiple “touch points” on LinkedIn to make an impression, so patience is the key. One of the best ways to get leads is to post discussions and comment on other posts in relevant groups. Stand out in the group by positioning yourself as the expert. You can accomplish this by voicing customer needs and challenges more accurately, and then sharing information, tips and news to help them. The key is to remain visible by being a valuable resource. Target your audience. Focus like a laser on who they are. Choose creative images and ad copy to get the message across to this target. Create 5 to 10 versions of the same ad (each containing different images, text and headline) so that you can find the best ideas and combinations. Run and test various ads and analyze the results. Once you analyze the data, look at your key metric (e.g., click-through rate) and determine your audiences’ responses. Using this information, decide what you should focus on to duplicate the success of the best ads and what should be eliminated. There are additional places you can find potential customers—in the newsfeed and from existing connections. Many people completely ignore the newsfeed, but you can filter it by new connections. If you see that one of your contacts has just connected to someone you’d like to connect with, now is a good time to get that introduction. If you want to find out more about LinkedIn and Mr. Crater’s book, you can read the full article here: 4 Ways to Profit From LinkedIn. As you’ve probably begun to find out by now, social media is one of the great ways to promote your business online. Keep in mind to regularly communicate, interact and respond with your audience to help gain prospect’s trust, maintain customer loyalty and encourage brand awareness. Are you using LinkedIn for your business? Leave a comment and share your best LinkedIn tip with us! With social media setting the trend for online marketers, you’ll want to make sure you’re part of the game – and not just sitting on the sidelines watching it happen! Twitter, LinkedIn, Facebook and Pinterest are among the dominate social communities to be participating in, and are great forums for interaction to promote brand awareness and loyalty. Social media sites can also help boost your business’ online presence and search engine ranking to help position your company as a more reliable and customer-focused brand in your industry. It’s important to complete all the fields for data about your company. Your clients and potential clients will be looking for information such as address, phone numbers, business hours, product information, photos and etc. Make your company details easy to fine, so they don’t have to go looking for it. Post on a regular basis, and post often but be sure not to not overwhelm your followers with too many uninteresting posts. For some companies, this may be once or twice a day. For others, you may have lots of interactions, information, events and activities to post about. If this is the case, you may need to post 10 – 15 times a day. Just as though you wouldn’t want to read boring or uninteresting content, neither do your followers. Don’t post just for the sake of posting – offer relevant information that educates, empowers and informs. Variety is the spice of life but make sure what you post still reflects what your brand stands for. 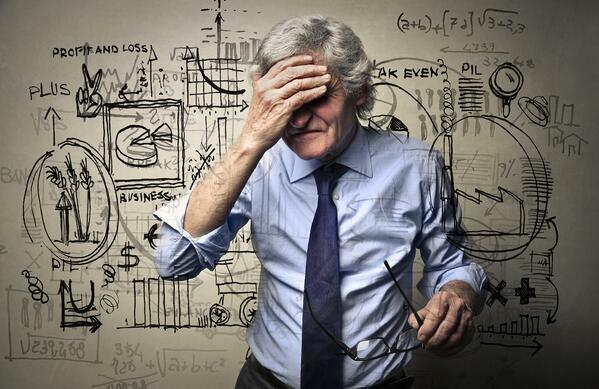 Data and statistics can be very useful when you take time to evaluate and study them. Facebook Insights offers this kind of information for you to analyze how your business page is doing. Use this information to understand your audience, and to give you analytics that help you better understand your audience and their activity. Facebook Ads might be a powerful asset to your marketing, but as with any other kind of advertising, planning and testing will be your best allies. These ads will be quite targeted because of the data Facebook collects from us, and can be helpful in your exposure. Before getting started, set a budget that allows you to test various titles, messages, pictures and offers before getting caught up and spending too much. With over 1 BILLION users, Facebook can certainly be a strong venue to provide education, attract prospects and connect with your clients. There are many more resources available to you inside Facebook, so invest time in this social community to find tools and aplications that work well for your business. Did I miss anything? What other things would you add to achieve a successful social media marketing campaign through Facebook? Don’t be a stranger, hit us up with your comments or suggestions!